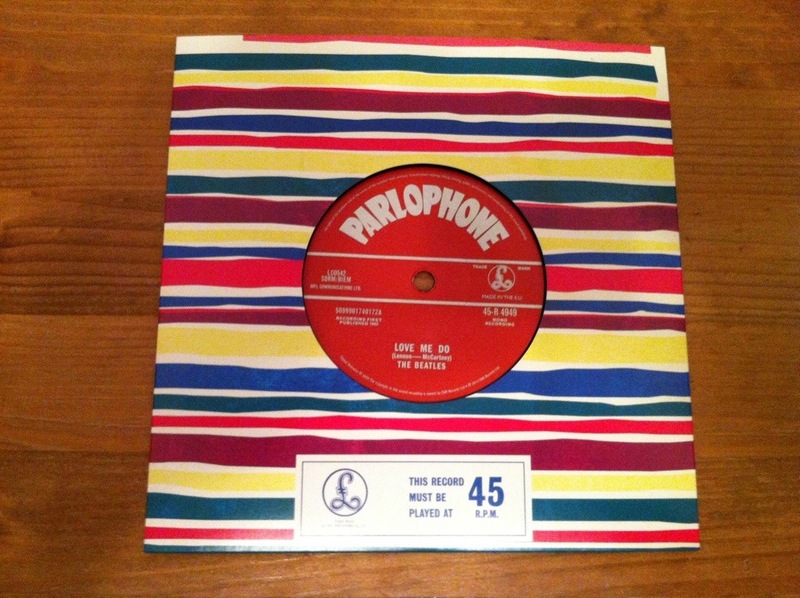 After EMI hastily withdrew the 50th Anniversary Beatles Love Me Do 7″ they decided to release a corrected version with the original single release as the A-Side. The sleeve and vinyl at first glance look the same as the mispress, however this version has the Parlophone lettering in a silver gloss instead of the grey type face. Interestingly, this release is still incorrect as it still has the incorrect catalogue number on its B-Side! Here is my copy of the 7″ that arrived.